Student: This is Hermit's Cove and we are here at Coastal Cleanup Day, which is once a year. 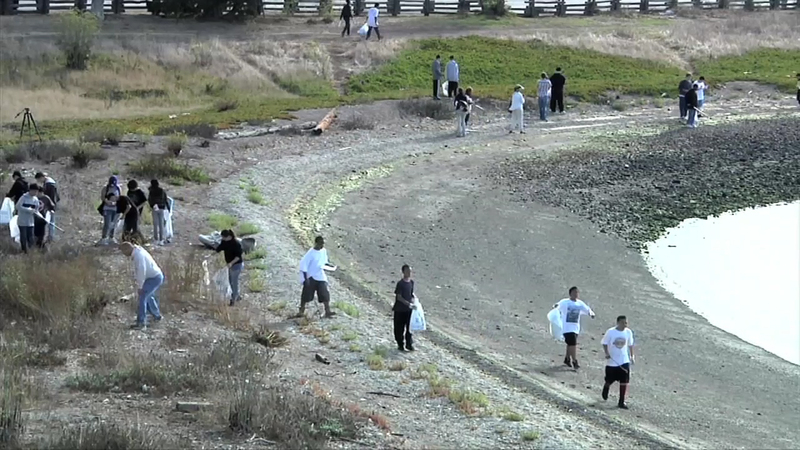 Volunteers come to places like this and pick up all the trash that are along the shoreline. Learn how to dispose of things properly. I think that is really important. Justin Holl: My name is Justin Holl and I work for the Gulf of the Farallones National Marine Sanctuary and what we are doing today is working with a group of high school students and we are learning all about plankton. Student 1: The Big Bang was about 14 billion years ago and life actually started out in the ocean. Student 2: We learned that actually phytoplankton make up 60% of the oxygen that we breathe in. Girl 1: Don't use your car so much that is the first step in saving the planet. We have local kids – San Francisco kids – who come here from high school and college and they work really hard for a couple of years here at the academy and we make sure we educate them about science and the importance of science, the importance of the oceans and we give them hands on experience they are able to be down on the public floor and working with the public and giving tutorials and giving examples and teaching other kids just like them about the ocean. Girl: My tip is that when you are the ocean you should try picking up all the trash you see so it doesn't get washed in the ocean. Woman: I initially thought I wanted to do was research but then I realized that what I had more of a passion for and was more important to me was to educate other people about the ocean. David Helvarg: I wrote "50 Ways to Save the Ocean" because what we do in our everyday life impacts the seas around us. People would ask me what can I do about climate change or the collapse of marine wildlife. You are already doing something. Everything we do every day impacts the oceans. More than 700 acres of coastal prairie habitat were added to the Aransas National Wildlife Refuge. Three lighted fishing piers, a new boat ramp, and two new docks were built. 70 acres of salt marsh were created in the Aransas National Wildlife Refuge. 11 acres of oyster reef were created in Lavaca Bay. The new marsh and reef will help to restore fish and shellfish species, including recreationally important finfish. The created marsh also adds to the foraging area of endangered whooping cranes.